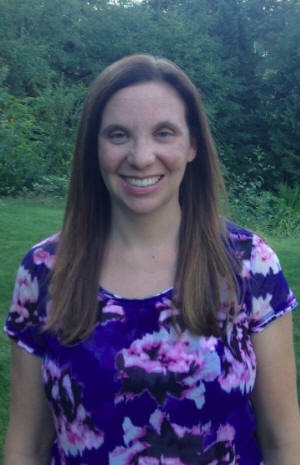 Sara Boelman is a Licensed Marriage and Family Therapist (License #- LF 60566351) in the state of Washington. She completed her Bachelor of Arts at St. Olaf College, majoring in Psychology and Family Studies, with a Concentration in Women’s Studies. Sara attended graduate school at Colorado State University and completed a Master’s of Science in Human Development and Family Studies, with a Specialization in Marriage and Family Therapy. Prior to joining The Family Center for Behavioral Health, Sara worked primarily with children and adolescents and their families. Sara was a Children’s Therapist at the Women’s Crisis and Family Outreach Center in Castle Rock, CO in 2006 and worked with children and adolescents ages 3-17 that had witnessed domestic violence and/or had been direct victims of child abuse. She then moved to Minneapolis, MN in 2009 and began working as a Clinical Coordinator at Avanti Center for Girls in Blaine, MN, a residential treatment center for adolescent females. At Avanti, Sara worked with residents who were unable to keep themselves safe in their home environments and worked with residents on increasing their skillful and effective behaviors. Sara also worked extensively with the residents’ families to help integrate skills back into the home environment and strengthen their family relationships. In 2013, Sara began working at the Lee Carlson Center for Mental Health and Well-Being in Fridley, MN and worked as an Outpatient Therapist, working primarily with children and adolescents and their families. She recently moved to the Pacific Northwest. Sara’s areas of clinical interest include anxiety, depression, trauma, emotional dysregulation, and interpersonal difficulties. She enjoys working with a variety of populations, in particular children and adolescents and their families. She considers herself an eclectic therapist, drawing heavily from Dialectical Behavioral Therapy (DBT), Cognitive Behavioral Therapy (CBT), Trauma-Informed Cognitive Behavioral Therapy (TF-CBT), Systems Theory, Play Therapy, and a Strength-Based approach.